Hi! 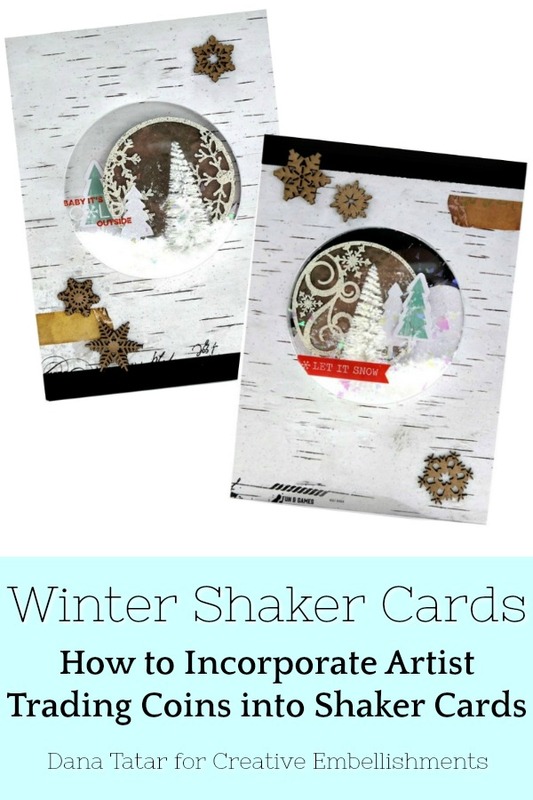 I'm sharing a set of Winter shaker cards that I put together for Creative Embellishments today. 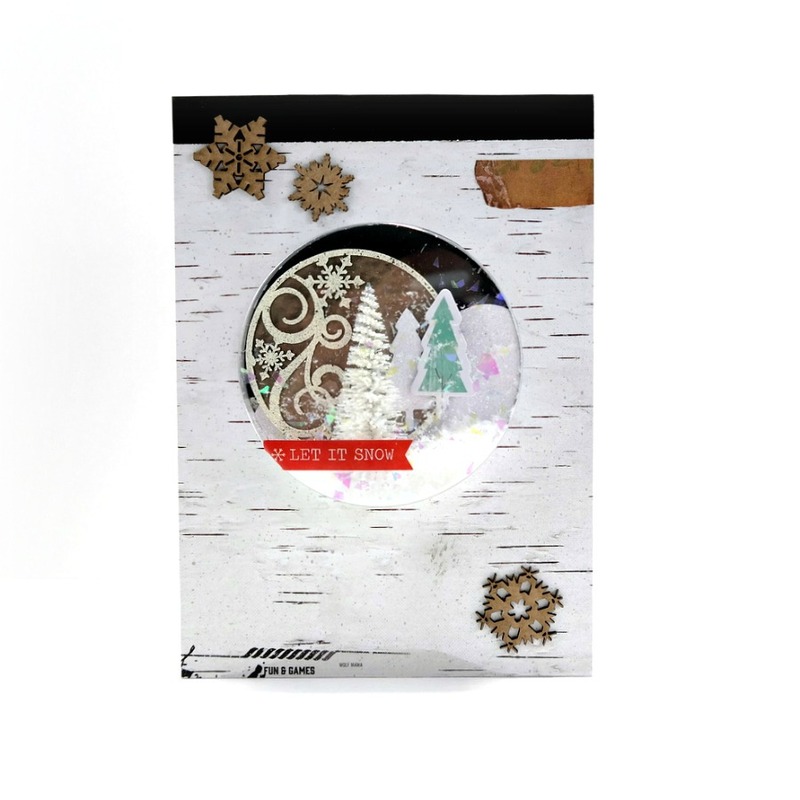 I started with the Heidi Swapp Snow Globe Card Kit and then added patterned paper, stickers, and of course, chipboard, to create this card set. 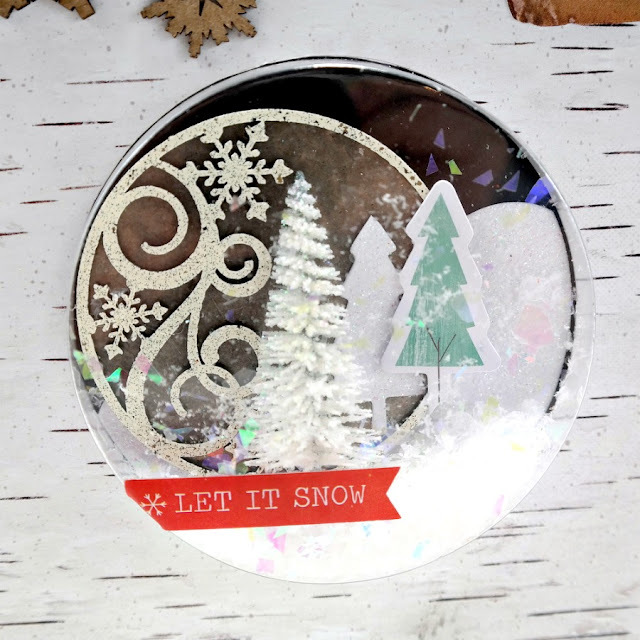 I stacked Artist Trading Coins and the Winter Artist Trading Coins to create a circular background embellishment for my shaker features. 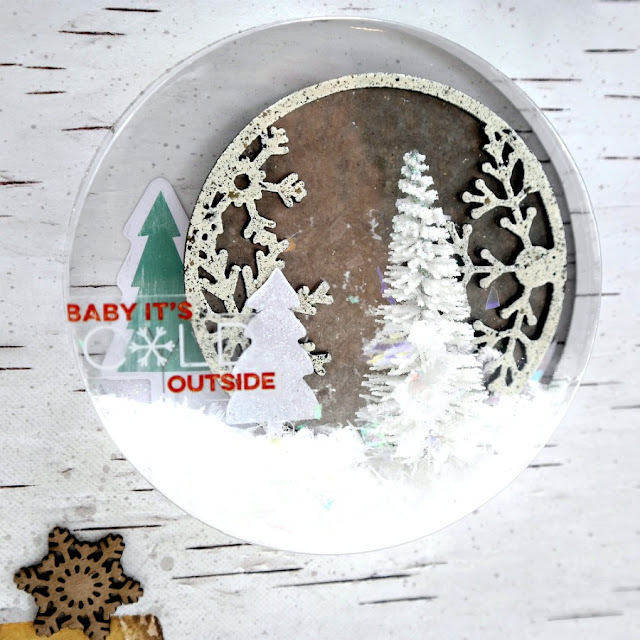 I heat embossed the Artist Trading Coin with German Silver ICE Resin Iced Enamels, and the Winter Artist Trading Coin with Ivory ICE Resin Iced Enamels. Then I glued the two coins together and secured it in to the shaker element off-center to create more interest. 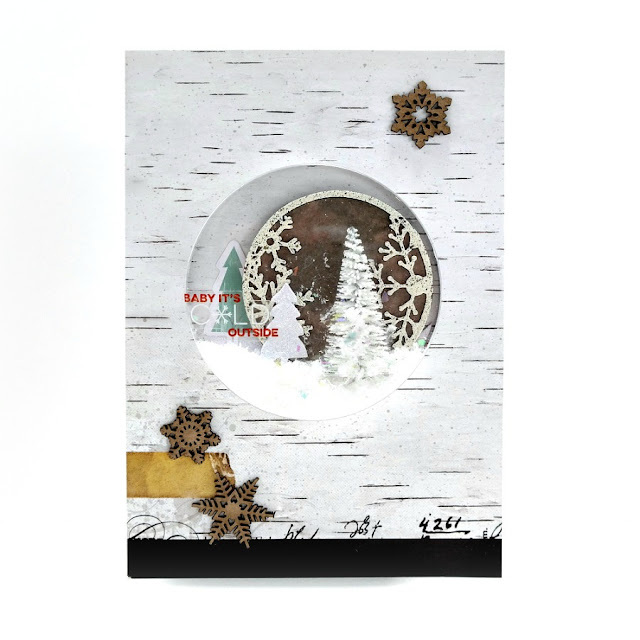 I surrounded the trading coin with tree stickers, a bottle brush tree, and mica flakes. I added a clear sentiment sticker to the outside of the shaker element. Once I created my first card, the second complementary design came together quickly. I heat embossed another Artist Trading Coin and Winter Artist Trading Coin set using the same powders. I also filled the shaker feature with similar embellishments. I added a clear sticker sentiment to the outside of the shaker feature. I love the pop of color. 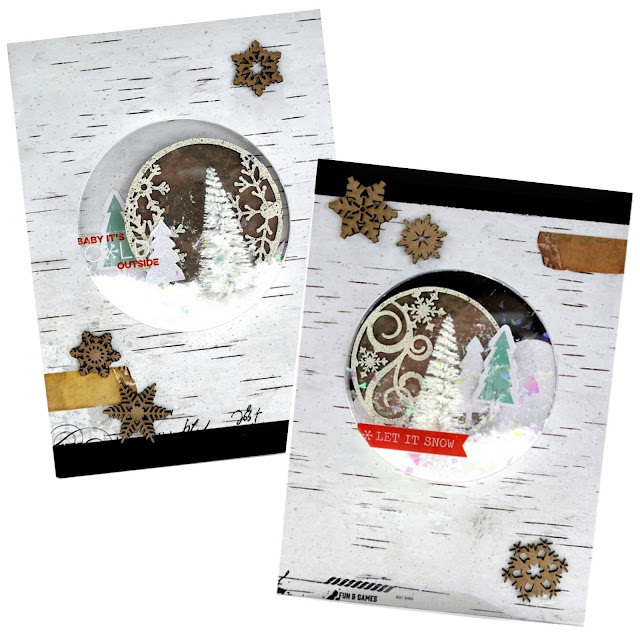 To finish both card designs, I glued raw Chipboard Snowflakes to the front of each card. If you have some snowy photos or project ideas you’d like to share, there is still time to join the January Challenge. 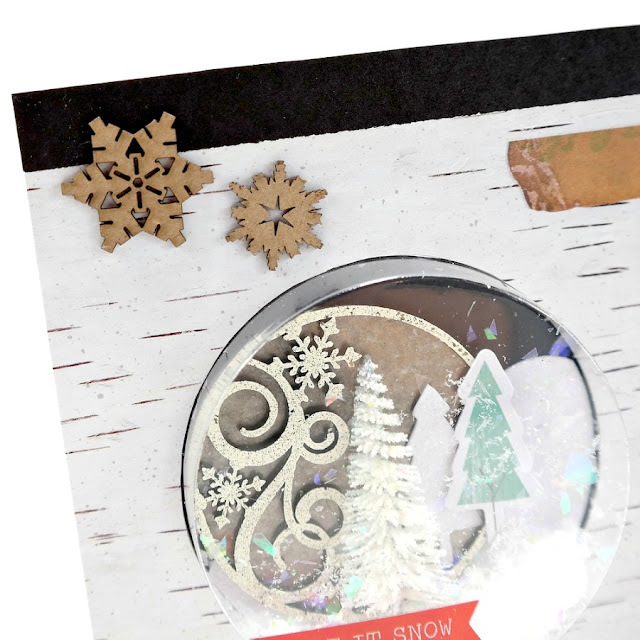 The twist is to add snow to your project. Wowwwwwww! These are GORGEOUS! LOVING the snowflakes and the trees!!!!!!!!!! !